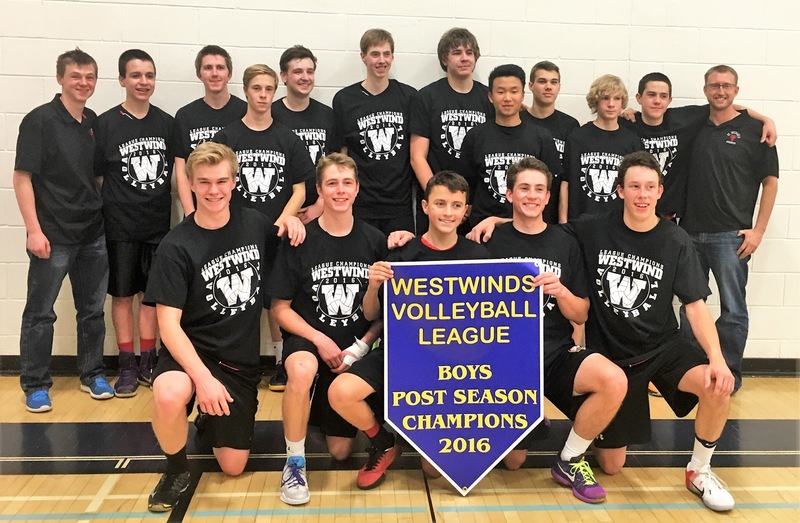 St. Michael's Dragons earned first place at the 2016 SV Boys Westwinds League Tournament after defeating Nobleford in the final game. Westwinds Volleyball's 2016 MVP was Michael Svab of the Dragons, and the Dragons earned 5 of 6 possible All-Stars nods. Dragons named All-Stars included Calvin Cooley, Jonathan Erickson, Brady Douglas, Tyler Gerber, and Mitchell Zoratti. Steven V. of Immanuel Christian was named the league's other All-Star. The Dragons had 8 wins and no losses during the regular season. The Dragons earned second place at Zones and finished a stellar season by earning Bronze at the Alberta Schools' Athletic Association 2A Provincial Championships held November 24-26 in Black Diamond.